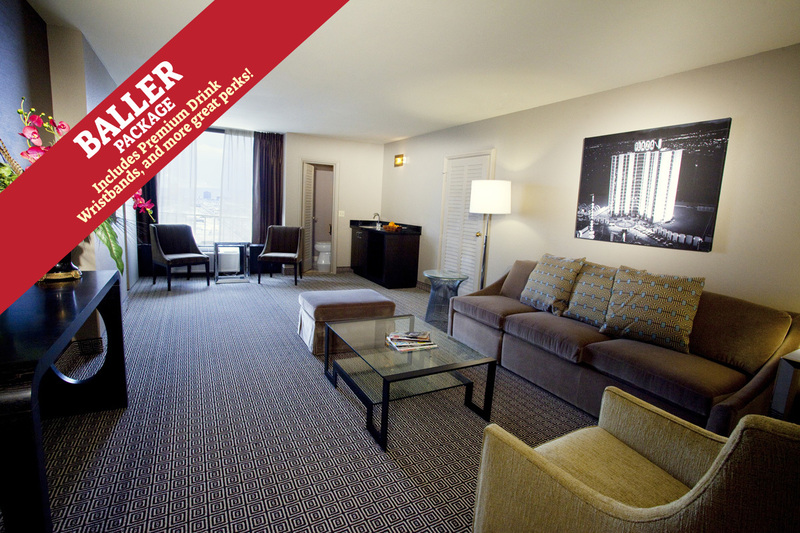 Escape to your Baller 1 bedroom suite and experience fabulous views of the Las Vegas Strip, Fremont Street/pool, or the living room parlor with bar refrigerator. Along with a separate bedroom, these suites come with an additional powder room for more “getting ready” space in the room. The in-suite amenities include: 32-inch flat screen television with premium cable channels and pay-per-view options, Keurig coffee maker, Wi-Fi, an in-room safe, AM/FM alarm clock radio, iron and ironing board, hairdryer, and bath amenities.